HPM Legrand announces that the Legrand Excel Life Medical Range and E2 Edgelight have been included in the 2015 Good Design Selection for the coveted Good Design Awards. Their selection from 380 qualified entries acknowledges that Legrand products have achieved the international benchmark for good design, which is based on safety, quality, functionality, sustainability and innovation. The judging panel, consisting of more than 30 local and international design experts, commented that “the Excel Life Medical Range is a standout example of what good design can bring to a very complex and challenging project with a multitude of design parameters and constraints. The designers have clearly demonstrated that they understand the environment very well and have delivered a world class product”. 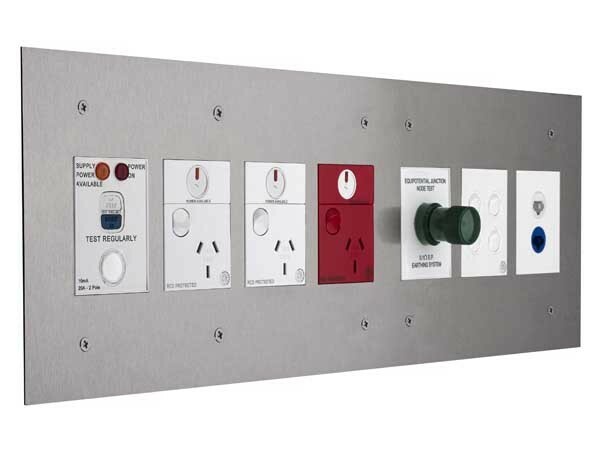 The judges added that the Legrand E2 Edgelight “is a significant step forward in the design of exit signs with a true innovation in the mechanism that allows the unit to be mounted on any angled surface. This flexibility gives architects, builders and component specifiers greater choice in this tightly controlled space”. According to HPM Legrand CEO Tony Berland, the recognition acknowledges the depth of research and development invested by Legrand to deliver superior quality, market-leading products and solutions for its Australian customers. Mr Berland notes that the Medical Range is of particular importance to the healthcare industry with its unique antimicrobial technology integrated in wiring devices and electrical accessories to reduce the risk of cross-contamination from common hospital bacteria. He added that the Legrand team was also excited about being part of the Good Design Selection Showcase during VIVID Sydney.